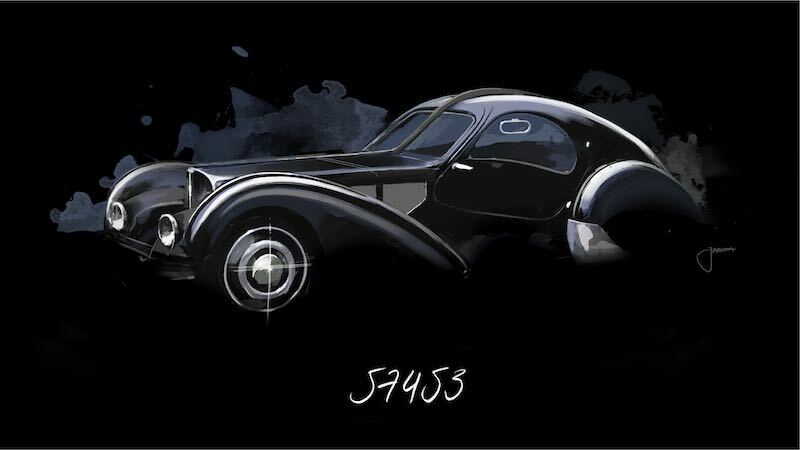 The Bugatti Type 57 SC Atlantic Coupe is not just one of the legends from the French automaker but perhaps the greatest. Only four of these cars were created between 1936 and 1938, with three of the extraordinary coupes still in existence. As they are regarded as one of the most valuable cars in the world, it’s understandable that the automotive world has been searching for the fourth Atlantic for over 80 years. “The Atlantic is among the icons in Bugatti’s long tradition. In terms of elegance, quality and performance, the coupe was unique in its time and is still unique today. A luxury super sports car. For us, it is both an inspiration and a commitment,” said Stephan Winkelmann, President of Bugatti. Ettore Bugatti’s son Jean started to modernize the luxury brand’s model policy in around 1930. Instead of several different models, he developed one base model from which he derived several different variants. Bugatti designed the Type 57 as a production car and as a racing variant, the ultimate grand tourisme. The range included various engine options and bodies such as Galibier (four-door saloon), Stelvio (convertible), Ventoux (two-door saloon) and Atalante (coupe). By the time production had come to a halt in 1940, about 800 Type 57 models in the various versions had left the factory hall. 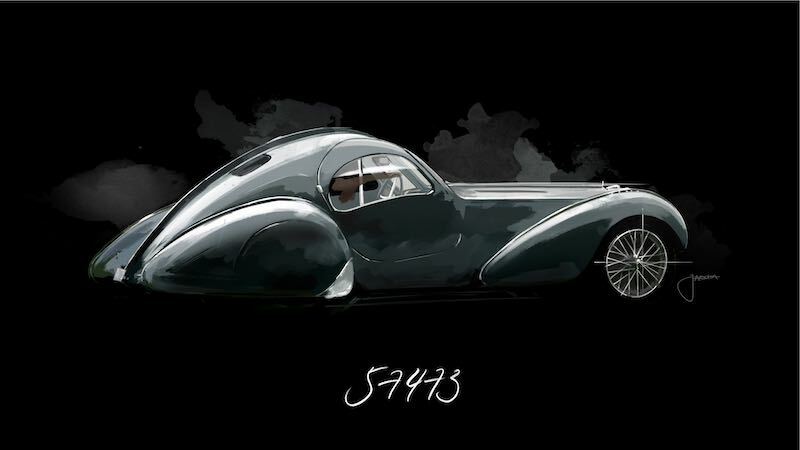 The precise number is unknown, but the Type 57 remains the Bugatti model with the highest production figures. Of course, this does not apply to the Atlantic. When it first appeared, its body was already strikingly beautiful. The wheels stand out from the body and the bonnet is extremely long for a car with an overall length of only 3.70 metres. The rear end flows down in an oval shape extending almost to the ground. Six thin tailpipes complete the rear view. An outstanding design feature is a raised seam running vertically from the hinge in the split bonnet to the tail. Like a sharp fin, it divides the body in the middle. Rivets hold the split metal sheets in place. The Atlantic models were developed from the unique Aérolithe prototype, also known as Coupe Special or Coupe Aero. 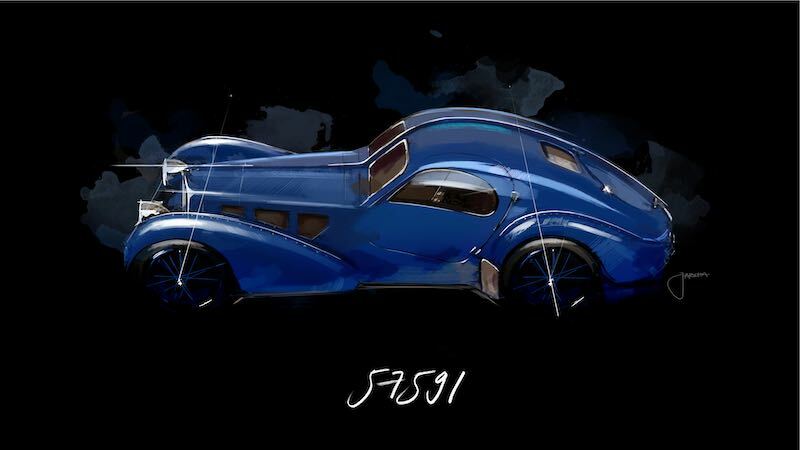 For this model, with chassis number 57 104, Jean Bugatti used Elektron sheet from aviation for the body. Elektron is an alloy of 90 percent magnesium and 10 percent aluminium. Although it is lightweight and strong, it is difficult to work and cannot be welded, which is why Bugatti riveted the body parts together, creating the famous dorsal seam. For the “production” Atlantic, Bugatti used aluminium but retained the rivets on the dorsal seam. The model is named in honour of Bugatti’s friend Jean Mermoz, an aviator whom was the first to cross the South Atlantic by air. He did not return from a South Atlantic crossing in 1936. The doors continue into the roof to make it easier for passengers to enter and leave the low-slung coupe. The headlamps of the first two cars are integrated into the wings while the other two cars feature separate headlight housings. The four cars have many other different details – each model is unique. The coupe is powered by a silent, strong 3.3-litre straight-eight with up to 200 PS and the top speed was in excess of 200 km/h – at a time when horse-drawn carts still featured prominently on many roads. Bugatti sold only three of the hand-crafted Atlantic cars to customers. 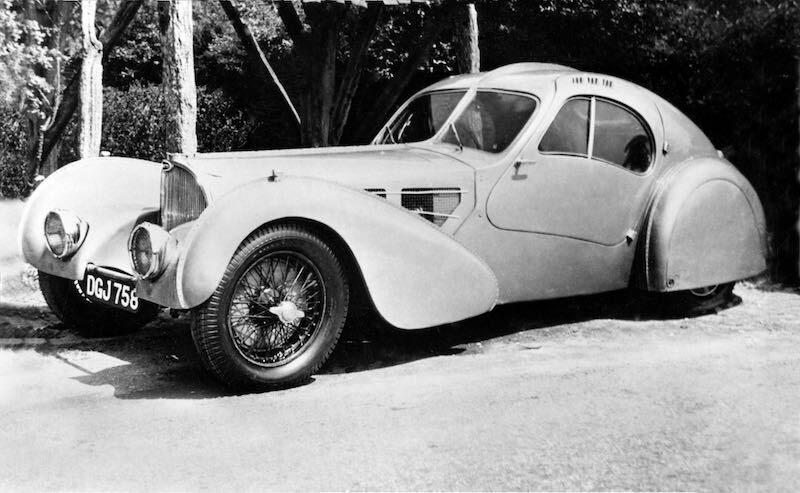 In 1936, Bugatti built the first model for British banker Victor Rothschild, originally without a supercharger, in grey-blue. This vehicle, with chassis number 57 374, is now known as the “Rothschild Atlantic”. Chassis 57 374 was purchased in 2010 by Peter Mullin of the Mullin Automotive Museum and Rob and Melani Walton for a reported $30 million. This Type 57SC Atlantic was named winner of the 2018 Peninsula Best of the Best Award after being named ‘Best of Show Concours d’Etat’ at the 2017 Chantilly Arts and Elegance Concours. The “Holzschuh Atlantic”, the third car built, with chassis number 57 473, was delivered to Jacques Holzschuh of France in October 1936. The second owner of the car, a collector, died in an accident on a level crossing. The Bugatti was destroyed. Decades afterwards, it was the subject of a complex restoration, although the engine could not be saved. This Type 57SC Atlantic was displayed by the Torrata Collection at the 2010 Pebble Beach Concours d’Elegance. Fashion designer Ralph Lauren is the owner of the last Atlantic produced, with chassis number 57 591, the “Pope Atlantic” was completed in May 1938 — its first owner was the Briton R.B. Pope. This Type 57SC Atlantic won Best of Show at the 1990 Pebble Beach Concours d’Elegance and Best of Show at Concorso d’Eleganza Villa d’Este in 2013, among other awards. Jean Bugatti had the second Atlantic made for himself. 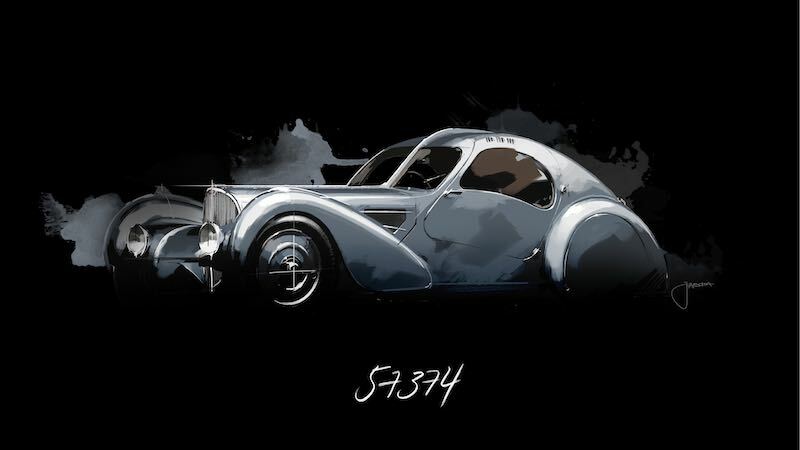 Only he or a few selected friends, mainly Bugatti racing drivers, had the honour of sitting behind the large steering wheel of the coupe with chassis number 57 453. Bugatti used “La Voiture Noire” (the black car) with a front bumper and lower doors as a model for photos in brochures and a demonstration car for international motor shows such as those in Lyon and Nice. In contrast to the other models, there is no trace of this car after 1938. It is not quite clear whether Jean Bugatti sold the car to a racing driver among his friends or whether it was moved to a safer region of France when the German army invaded Alsace, which is more probable. However, one thing is clear – the second Atlantic built has not been found to this day. Its disappearance is one of the great mysteries in the history of the automobile. Experts estimate the value of the Atlantic at more than €100 million – if it ever appears again.